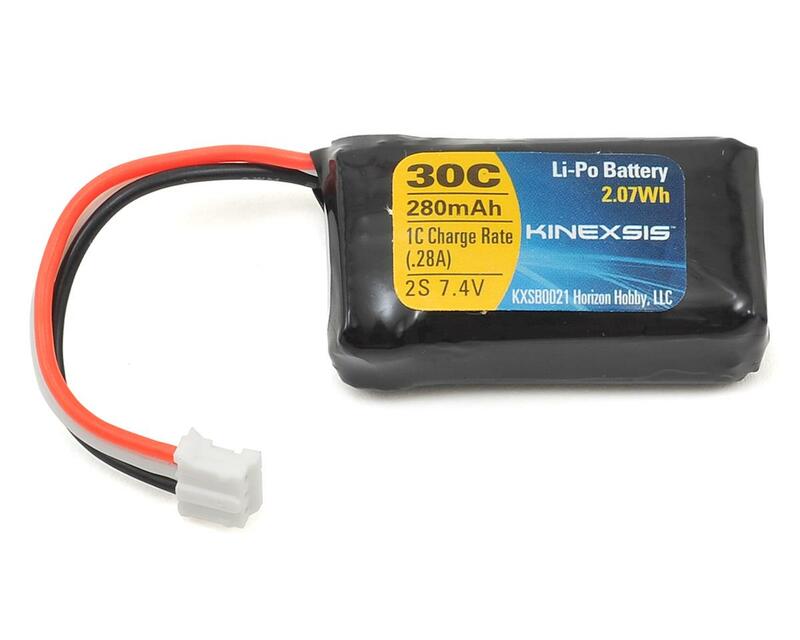 This is a Kinexsis 7.4V 2S 30C LiPo Battery with a PH Connector and 280mAh capacity. Kinexsis batteries have been created to provide you with the performance you want without breaking the bank. All Kinexsis batteries feature quality assembly, wiring, power and balance connectors. 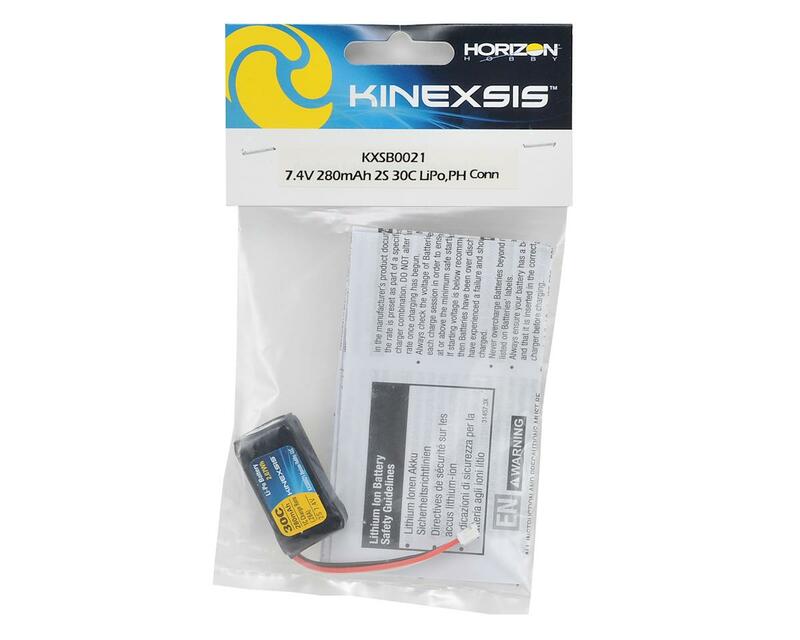 Available in a wide variety of capacities and voltages, there’s a Kinexsis battery perfect for almost any application, from airplanes and helicopters as well as quadcopters, multirotors and drones. I love this battery as it is 3$ cheaper than the E-Flite one and works the exact same. Will definitely buy more!